From Moodle 3.3+ it’s possible to show donut charts in the dashboard as a visual way to let your students keep track of their course progress. However, by default this feature is not enabled in Moodle. 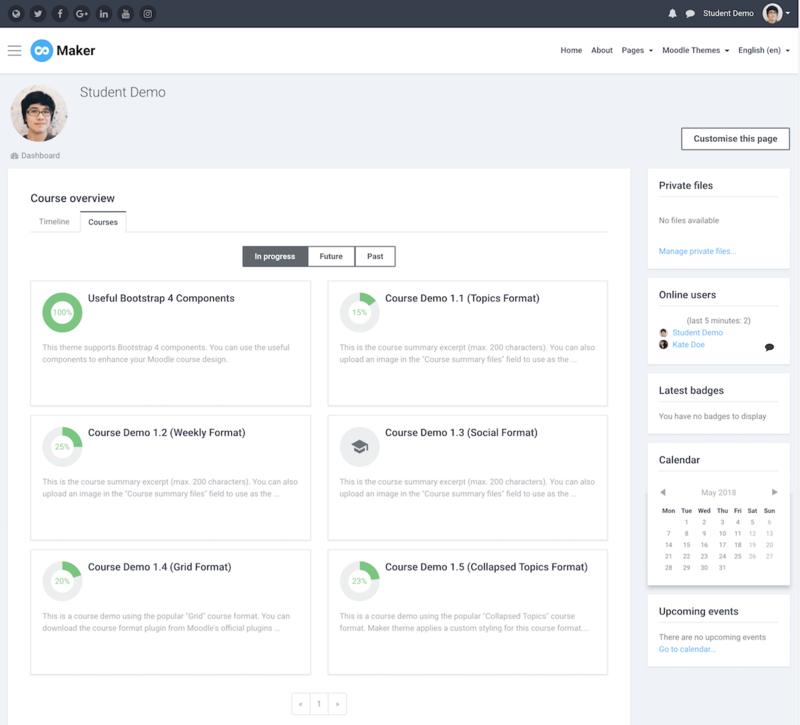 In this tutorial we will show you how to enable this feature so your students can track their course progress. 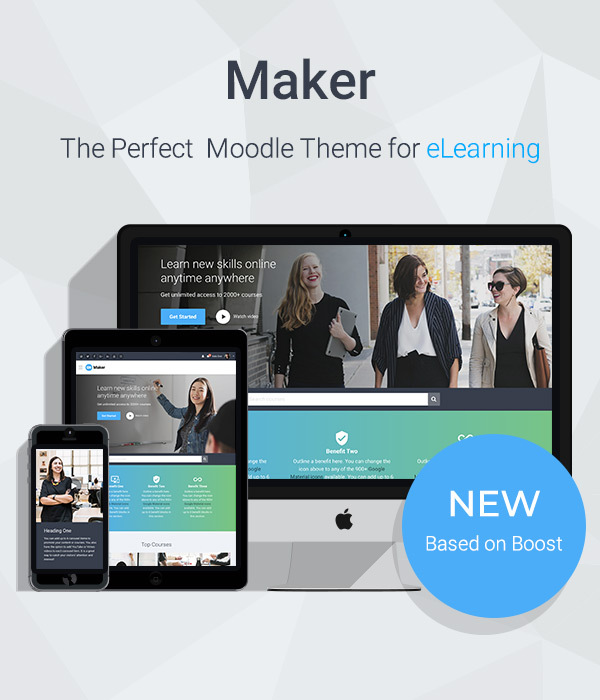 Below is a screenshot taken from our Moodle theme demo site. You need to log in here as a student to see the student dashboard page demo. Find an option called “Enable completion tracking” and tick the checkbox. Go to your desired course’s settings page as a teacher and find a section called “Completion tracking”. Make sure you select “Yes” from the dropdown menu as shown in the figure below. A course teacher can configure the course activities/resource settings to enable the activity completion according to his/her criteria. Now you’ve successfully enabled the course progress feature and a progress donut chart should be displayed next to the course name on the dashboard.